In 2017, the Port of Tallinn published its Masterplan 2030 for the Old City Harbour area. Can you briefly describe the main focal point of this plan? Do you already have some first results of the implementation of this plan? End of 2017, the world-famous architects from “Zaha Hadid Architects” completed the Masterplan for Tallinn´s Old City Harbour. This is a unique opportunity for us to start transforming the harbour area right in the heart of Tallinn into an innovative and welcoming city. Old City Harbour will become the new heart of the city with a new city square next to the marina and a walking promenade through the area. The Masterplan offers us a well-balanced solution to integrate our passenger port with modern city life. There will be new commercial buildings, offices, restaurants, hotels, apartments, etc. The implementation of the Masterplan will take years, the process of real estate development usually takes a long time from planning and designing to construction. We are currently moving forward with the detail planning process according to local legislation. Since last year, the Port of Tallinn’s shares have been listed on the Nasdaq Tallinn stock exchange. What was the motivation to bring the Port’s shares on the stock exchange? What does it mean for your daily management? The Port of Tallinn has a track record of stable financial results and regular dividend distributions and we are positioning ourselves as a high-quality dividend asset. By listing the company on the Nasdaq Tallinn Stock Exchange, our former sole and current majority shareholder– the Republic of Estonia – aimed to provide new quality asset investment opportunities in the country, improve liquidity and attractiveness of the local capital market and re-introduce Estonia to international investors. All the aforementioned goals have been well achieved, and our IPO (Initial Public Offering) was last year’s success story in the Baltic region. Listing the company has added a stamp of quality to our achievements and keeps pushing us to seek further developments. As a (formerly) state-owned company, we have always pursued transparency and efficiency in our daily management and communication. Now, being a publicly listed company, we put even more emphasis on it. The main change is related to internal and external communication, which has to be in compliance with the stock exchange rules and other similar requirements. The Port of Tallinn is located on the North Sea – Baltic Corridor of the Trans-European Transport Network (TEN-T). 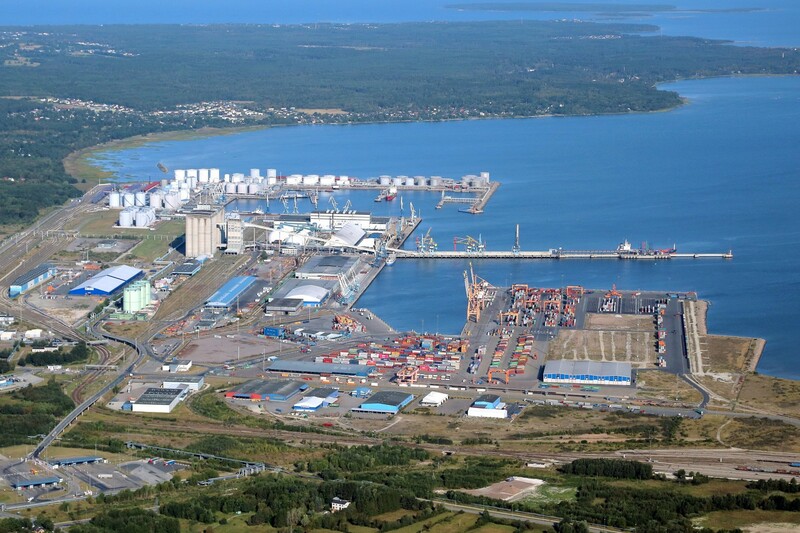 Through the Connecting Europe Facility (CEF), the Port of Tallinn has obtained funding last year for the TWIN-PORT follow-up project. Can you briefly explain the aim of this project? Why is a funding instrument like CEF important for your port? TWIN-PORT 3, which started last year, is actually already the third CEF project in a row as you can see by its name. It is a collaboration project between ferry operators, the ports of Tallinn and Helsinki and the City of Helsinki. The main objectives are to offer better travel experience for passengers, develop the port’s infrastructure to reduce noise and pollution in port area, and upgrade security systems. In the Old City Harbour of Tallinn we construct auto-mooring systems to our quays. It is a new innovative system which enables faster and safer berthing, thus reducing pollution from ferries. Another big investment is the construction of an On-shore Power Supply system. With this system ferries can use power from the power grid from the shore side, which allows them to shut down their diesel engines when they are berthing overnight, thus reducing noise and emissions in the port area. The focus of CEF funding is to support investments especially on cross-border projects and iniatives, which helps to remove bottlenecks in the European Core and Comprehensive Network. With this supplementary funding we can develop our infrastructure faster and more easily. I think European citizens benefit a lot of it. In 2023, the current TEN-T policy as developed in 2013 will be reviewed. Do you think the current policy is a success? Are there changes needed? Has the port changed in such a way that its status needs to be reviewed? Definitely there have been significant improvements of the European transport infrastructure with this programme. Europe is quite sufficiently covered with roads and railroads, also significant investments have been made in airports and in the motorways of the seas as well. I think we can never say that the transport network is ready. Consistent development of the infrastructure across the EU is a necessity to ensure the EU’s competitiveness. However, one should keep in mind that the emphasis of investments might need to be changed, especially when it comes to investments to sectors which need development in a faster pace. Our port has changed a lot, we have made many large-scale investments, but to be the most innovative port in Baltic Sea (as we’d like to be) and to be an essential link in North Sea – Baltic Corridor Network, we have to keep developing our infrastructure consistently and EU funding is absolutely necessary in that perspective. The passenger business is a core activity in the Port of Tallinn. What are the main challenges? Do you foresee a bright future for the cruise and ferry business in your port? 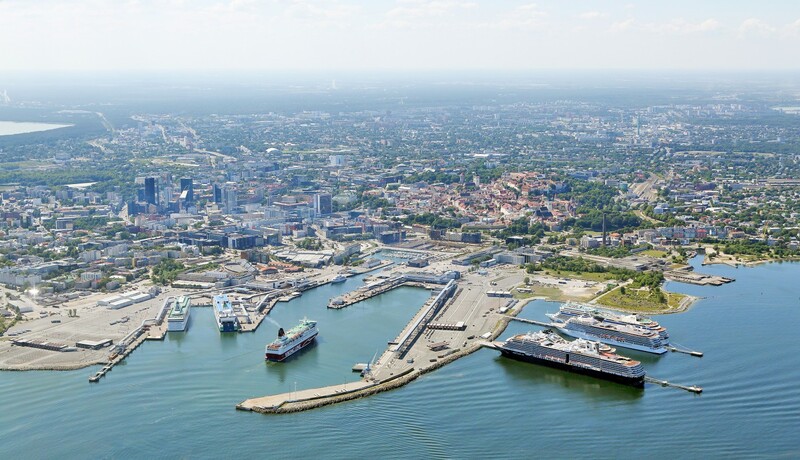 In 2018, 10.6 million passengers passed through the harbours of the Port of Tallinn, which is sixty thousand passengers or 0.6% more than in 2017. 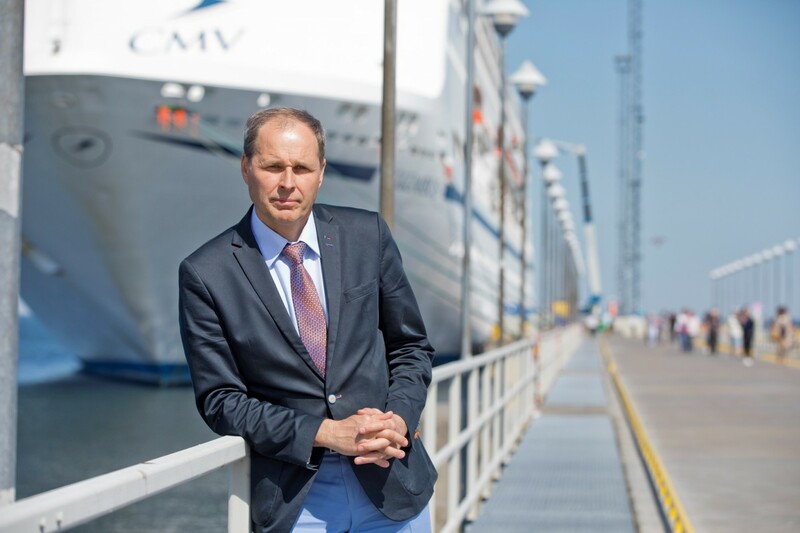 The number of cruise passengers has hit a record, and the number of ferry passengers travelling on the Tallinn-Helsinki route retained the same result as the year before. The Port of Tallinn’s passenger numbers have been increasing for eleven years in a row. The number of passengers increased mostly with regards to cruise passengers. During the cruise season of 2018, cruise ships called at the Port of Tallinn 339 times and brought 635,068 cruise passengers to our capital, corresponding to 28 cruise ship calls and over 70 thousand passengers more than in 2017. 8.79 million people travelled on the Tallinn-Helsinki route, that is practically the same result as the year before. The Tallinn-Stockholm line serviced 1.009 million passengers and the Tallinn-St Petersburg line 85.000 passengers. Passenger numbers in the Baltic Sea Region have been increasing for a number of years now and the growth expectations for the next years will support greater investment into the sector. The route with the most passengers is Tallinn-Helsinki, which has one of the highest concentrations of passenger movements in Europe. One of the main driving forces behind the large number of passengers travelling from Finland to Estonia is the good value of services and products that Estonia can provide compared to similar services and products in Finland. The number of cruise passengers has also grown in recent years, this growth has mainly been driven by the general increase in the popularity of the cruise industry. On one hand, the continuous growth, especially during the summer months, might put pressure on popular tourist attractions and might lead to challenges with the local communities living and working close to them and the port area. On the other hand, the changes in the macroeconomic environment may result in the stabilisation or decrease of passenger numbers that might negatively influence our results and the general tourism sector. The other challenges include several environmental issues connected to the cruise and ferry traffic and the transportation in port areas (noise, air quality, waste handling, traffic jams, etc). The passenger business is very important for us and we see it as a main business field and service area with great potential. The main investments in the coming years are mainly connected to the passenger business (enlargement of passenger terminal D, building of a cruise terminal with rooftop promenade, automooring for ferries and onshore power supply, etc). All those investments and developments are carried out in a sustainable way that is a core value in our every-day business in general. Before taking up the position of CEO of the Port of Tallinn, you were leading Estonian Telecom. This of course means that you are quite familiar with the ongoing digitalisation of the economy. What is your vision with regards to digitalisation in the Port of Tallinn? Are you taking any initiatives in this respect? We see innovation as our competitive advantage and several of our smart solutions help to use important resources in a more efficient and environmentally friendly way. For instance, in the Old City Harbour we use the Smart Port solution, which is a traffic flow management system making the guidance of vehicles to the ship automated and speeding it up: due to the automatic license plate recognition, the drivers who have made a booking beforehand are automatically directed to the right check-in booth and then the right lane for going on board. This system reduces the vehicles’ waiting time and the time that engines are running; hence it’s better for the environment. Many of our work procedures are made more efficient by digitalisation. All of the Port of Tallinn’s communication channels are already digital, and the Estonian logistics sector is utilising well-functioning in-house digital platforms and solutions for sharing data about vessels visiting the harbours. The challenge today is to make different IT-systems between many different actors and across borders to exchange data with each other automatically. In Estonia, the core members of the infrastructure cluster have started developing an information system exchange layer called Single Window, which allows the logistics and transportation sector to communicate with each other in a paperless and secure way. Being green also means supporting sustainability. The Port Service Regulation is coming into force end of March. Is the Estonian Government ready? Will this Regulation imply big changes for the Port? What is the most challenging part? The Ministry of Economic Affairs and Communications has submitted to the parliament a draft resolution for the amendment of the Ports Act, according to which all Estonian ports belonging to the Trans-European Transport Network (TEN-T) must bring their activities to conformity with the European framework for the provision of port services and common rules on the financial transparency of ports (Regulation (EU) 2017/352 of the European Parliament and of the Council, effective as of March 24 2019). This brings about the obligation for ports to hold regular consultations with its cooperation partners at least annually, but the means and form of the consultations shall be determined by the managing body of the port. The Estonian ports in the TEN-T are Tallinn Old City Harbour, Paldiski South Harbour, and harbours of Muuga, Paljassaare, Rohuküla, Heltermaa, Kuivastu, Virtsu, Pärnu and Sillamäe. The Estonian ports already consult its port users, so adherence to the new regulation is not an additional administrative burden. As from 2019, the Port of Tallinn will be conducting a new port pricing policy for ships that are participating in the Environmental Ship Index (ESI), which aims at reducing air emissions of ships. Can you briefly explain the motivations for this new port pricing policy and how it will work? 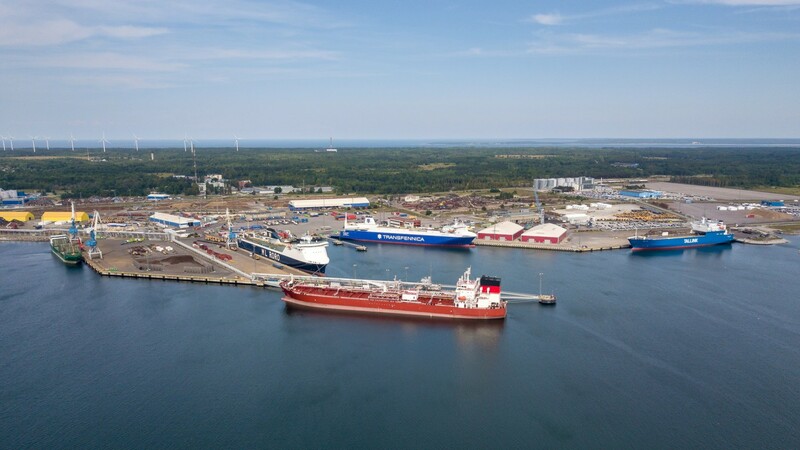 Starting in 2019, ships participating in the Environmental Ship Index (ESI) may apply for up to 8% discount on tonnage fees in the harbours of the Port of Tallinn. The new port pricing system, involving differentiated port fees, aims to encourage shipping companies to make extra efforts to adopt sustainable solutions and thus to protect the fragile ecosystem of our Baltic Sea. To receive the discount, ships must hold a specific ESI score. Vessels with the ESI score of 80 and above may apply for a discount of 8% on tonnage fees. For ships with the ESI score between 65 and 79.9, the applicable discount is 3% . The ESI evaluates the amount of nitrogen oxide (NOx) and sulphur oxide (SOx) that is emitted by a ship; it includes a reporting scheme on the greenhouse gas emissions of the ship. The ESI is a perfect indicator of the environmental performance of oceangoing vessels and will assist in identifying cleaner ships in a general way. The Port of Tallinn first introduced differentiated port fees in 2014, when discounts were made available for cruise vessels sorting their waste. From early 2018, all vessels using LNG as their primary fuel have been offered a tonnage fee discount of 4 per cent, which will double in January 2019 for ships with an ESI score of 80 or more. In May this year European citizens will vote for a new Parliament and hence also a new Commission. What would be your main message to the new European Parliament and Commission? The EU economy needs more growth to gain power and position globally. The foundation for economic growth is business activity and innovation. However, business enterprises and corporations are often under the pressure of several EU regulations. Overregulation often makes it difficult to do business in the EU and is not a good soil for innovation. More business freedom and fewer rules and regulations should be one of the priorities to boost the competitiveness of the EU. Also the European Parliament and Commission should stand for equal treatment and determine that the same requirements apply for ports and shipping companies in all EU Member States. Currently the Baltic Sea Region has much higher standards for example in environmental issues than the other regions.